Box braids will forever be an essential part of any black girl’s hair repertoire. It’s one of a few hairstyles that is relatively low maintenance. 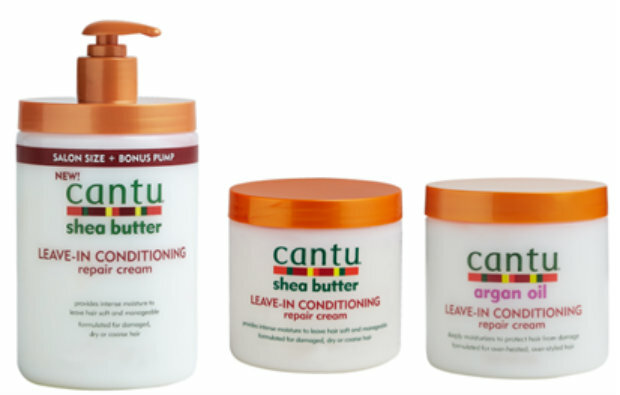 It’s a protective style, allowing you to keep your own hair out of the way and free of manipulation and it’s also a very versatile way wear your hair. 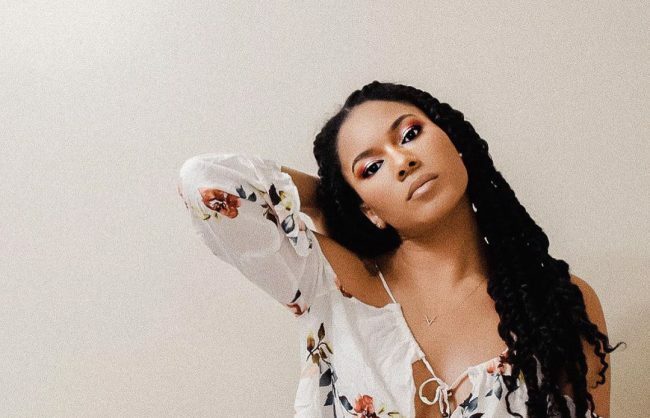 There are various ways you can get rock box braids and once they’re actually in, there are even more ways you can style them. 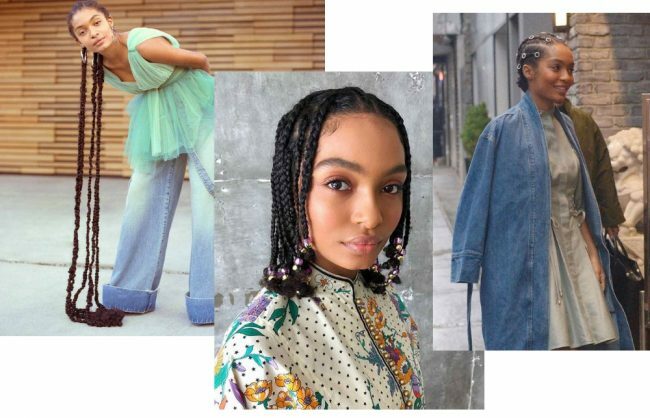 We’ve combed the Web–Pinterest Tumblr and Instagram in particular–to create THE ultimate box braid style guide for you. (If you’d like to learn about caring and installing box braids, read our Box Braid 101). 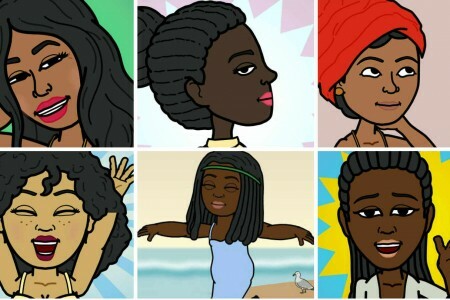 When choosing how to wear your box braids, you’ll have to consider what size you want, what length and what color. We’ve broken it down for you. Enjoy! (By the way, if you like this, maybe you’ll like our in-depth post on bantu knot outs on different lengths and textures or this one about Fulani Braids (AKA Alicia Keys Braids)). 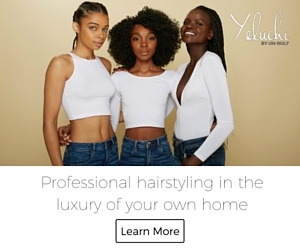 In general, there are three basic sizes (and by size we’re referring to the width of the braid)–pencil (which is a normal size), thin (or micro) braids, or chunky jumbo braids. 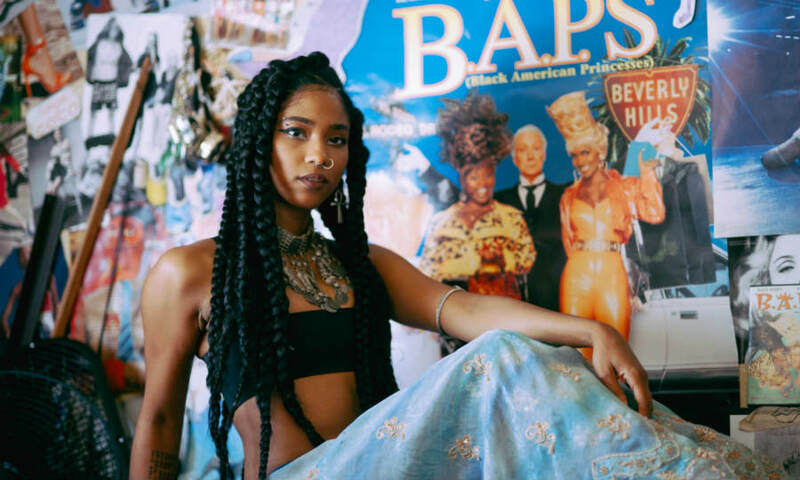 With thin braids you run the risk of putting more tension on your follicles because less of your own hair is carrying the ‘weight’ of the braid. Think of it this way: if you wanted to break one match stick, you could easily snap it; but several matchsticks together can resists more pressure. In the same way, the more hair you have bunched together, the resistant it is to tension. 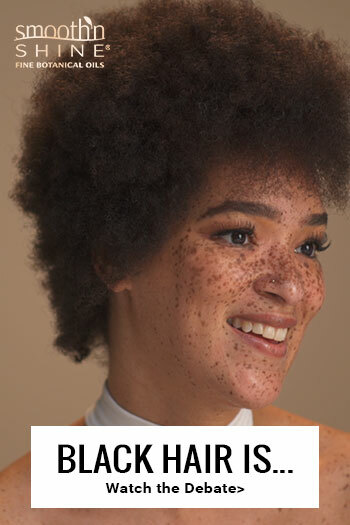 That said, be careful when installing thin braids and using small sections of hair; be sure you or your stylist uses the minimum amount of tension required to keep them secure. On the other hand, one advantage of thin braids is they give you easy access to more of your scalp, so washing your hair is easier. 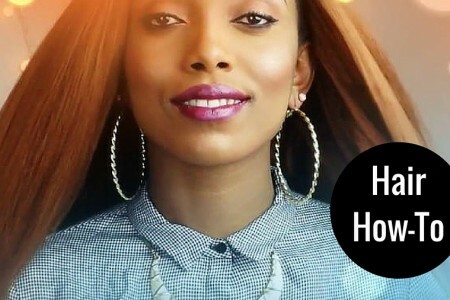 (See how to wash box braids here). In terms of look, thin box braids, most closely resemble actual strands of hair giving you a sort of ‘lighter’ look. 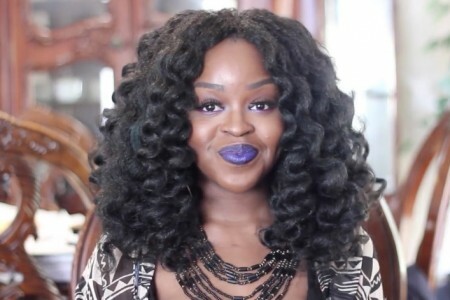 Jumbo box braids are so hot right now because they’re just so dramatic and stand out. 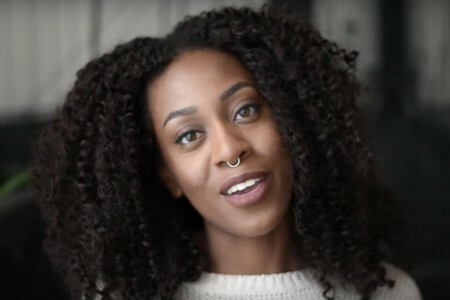 Depending on the amount of hair you use and also depending on the size of the sections of hair, jumbo box braids can put less tension on your follicles, but are slightly more difficult to wash than thin or pencil-sized box braids. Pencil-sized or ‘normal’ box braids are a nice option when you’re not necessarily looking to stand out or sit in a salon chair for too long. They’re also the perfect size to avoid putting too much tension on your hair. With a size chosen, now you’ve got to think about how long you want your box braids. For something dramatic, go long! But be head’s up: long box braids can really get in the way of day-to-day life and can be uncomfortable to sleep with. Another way to get a little bit of drama is to go short! Box braid bobs are so hot right now. Medium length might also be appealing because you don’t see them around that often. Typically you’ll see women wearing long or short braids but rarely something right in the middle. 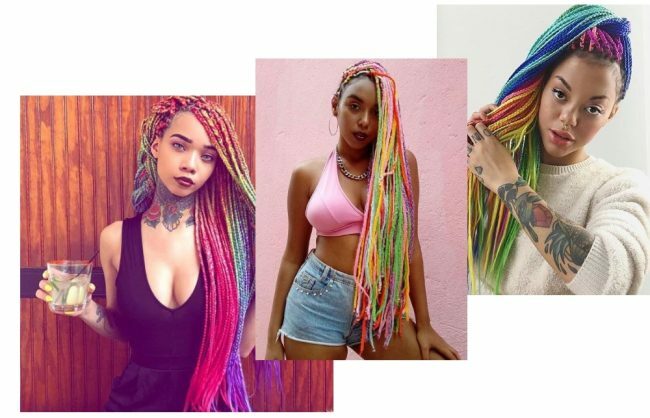 Okay, so there’s sooo much you can do in terms of choosing a color for your box braids. You can stick with something subtle and natural, i.e. various shades of black and brown. Or you can be a bit more adventurous with blond or red. 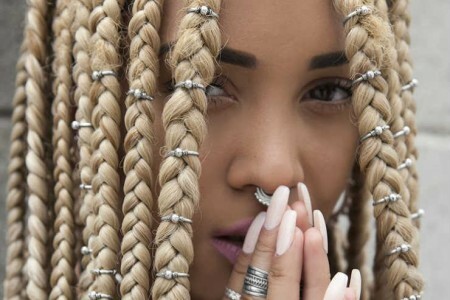 (Check out our blond box braid gallery and the four shades of red box braids we love). Or get even more adventurous with colors like blue, yellow or grey. Once you’ve picked your box braid size, length and color and have them installed, you’re pretty much ‘ret’ to go. You can simply rock your braids all down or in a pony tail or you can style them. 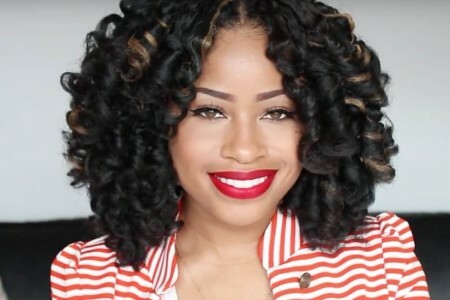 We’ve found two box braid styling tutorials that we love here and here. Below are just a few of the ways you can style your braids. 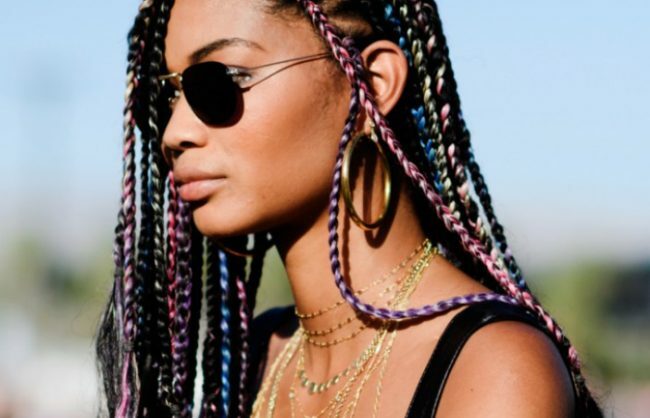 You can wear them up in a full bun,a half bun, or double buns, you can rock them with shaved sides (something you’d have to decide before installing them); rock them with bangs or with accessories (more on box braid accessories here). So, now tell us below in the comments, what box braid style are you getting next? A short chunky blond bob or long thin dark tresses? P.S. If you’re as obsessed with box braids as we are, be sure to book mark this page for our continuous coverage of this fab style.